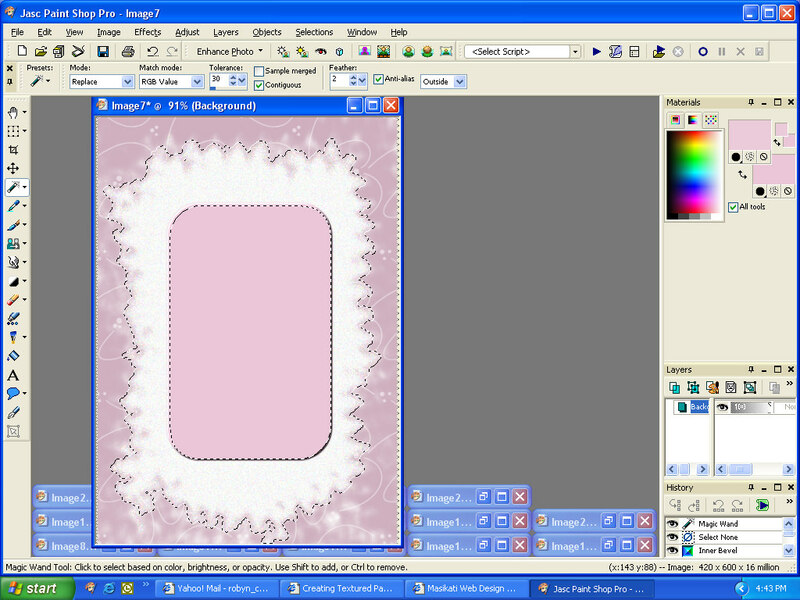 (If you are not sure about selecting foreground colours and patterns please see the tutorial on Creating Textured Papers with PSP first). 1. Create a new blank canvas. 2. In the Materials Palette select a foreground pattern. 3. In the Paintbrush shape dropdown box, select Wavey. 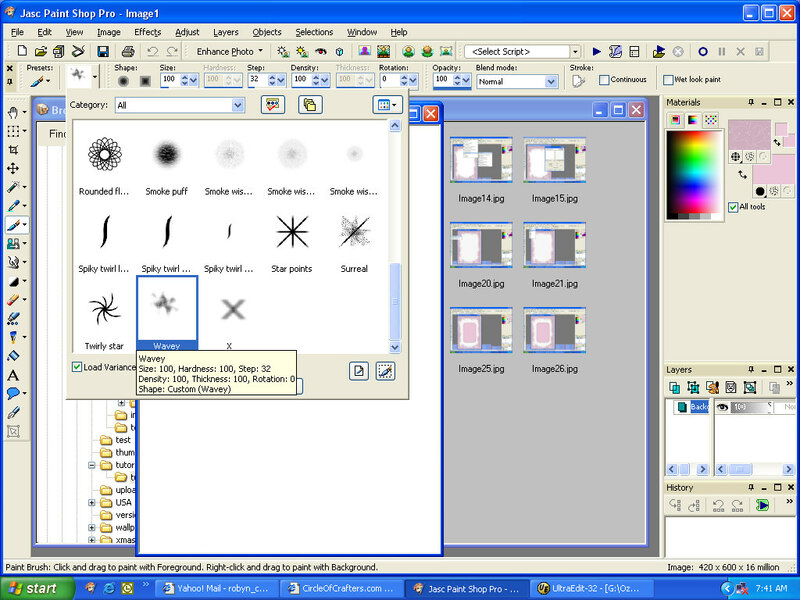 (See enlargement for settings). 4. Drag the wavey shape back and forth around the edges of your canvas so that the outside edge is covered solidly with the pattern and the inside edges are rough and uneven. 5. Click on the Magic Wand selection tool. 6. Click in the middle of the blank area of your canvas. 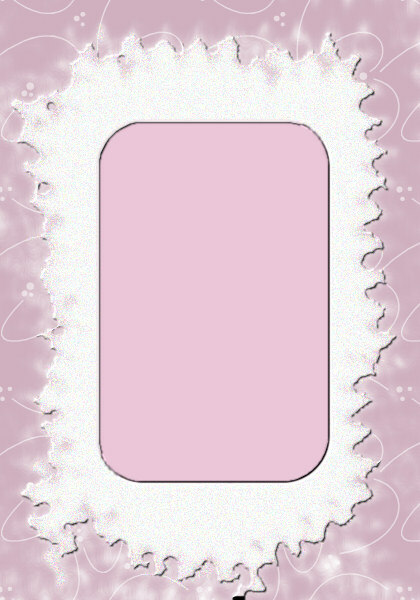 A dotted line will appear around the rough blank area. 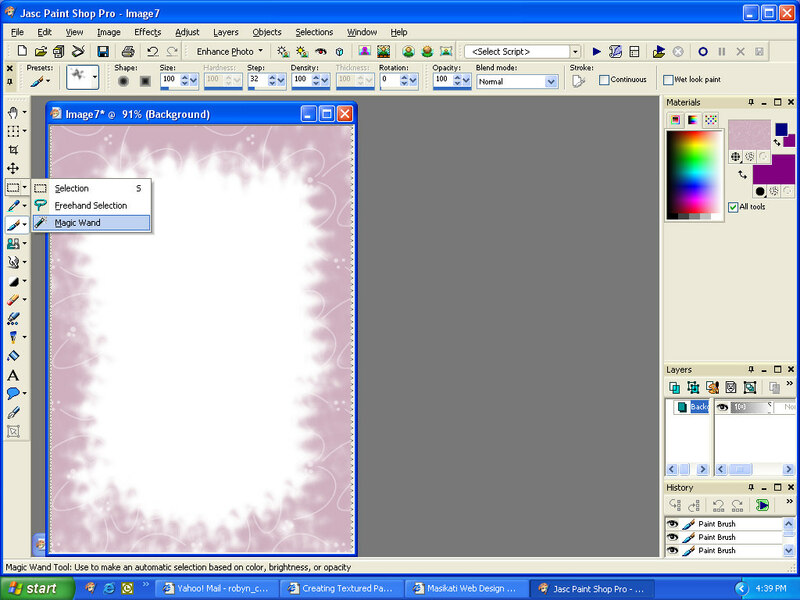 (See enlargement for settings). 8. 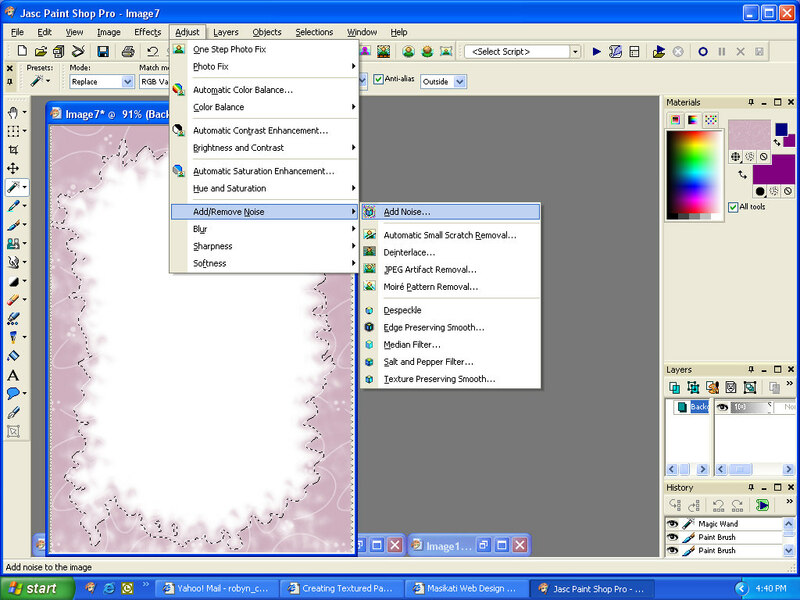 Click on the foreground colour box in the Materials palette. 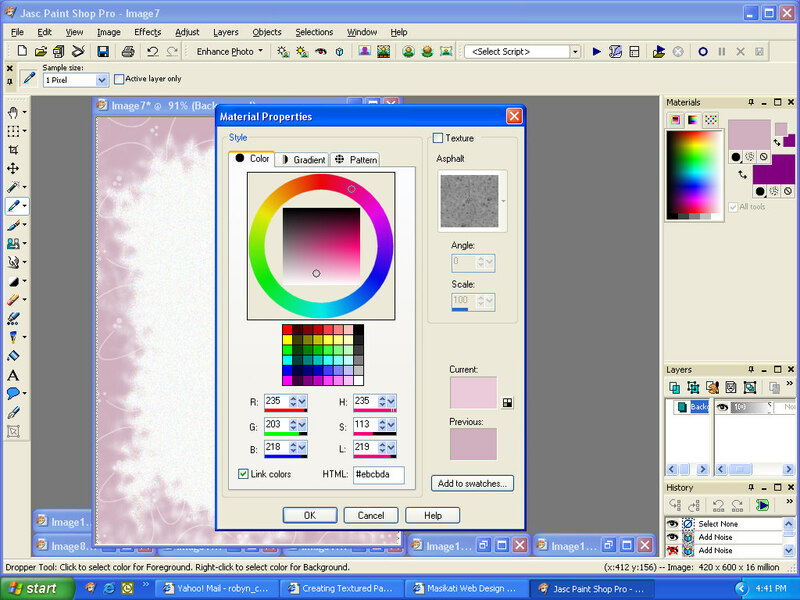 Click on the Color tab and then Mouseover your canvas. An eyedropper will appear allowing you to select a colour directly from your canvas. 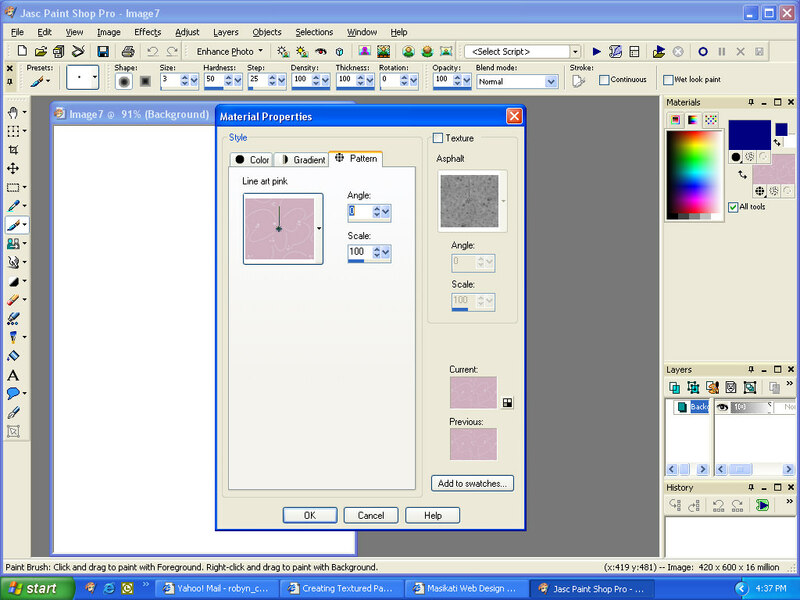 Select a colour and then adjust it to a shade paler in the graduated colour box. Click OK.
9. Go back to the selection tool and choose Rounded Rectangle. (See enlargement for settings). 10. Draw a rounded rectangle selection box in the middle of your canvas and then using the bucket, flood fill this area with your chosen colour. 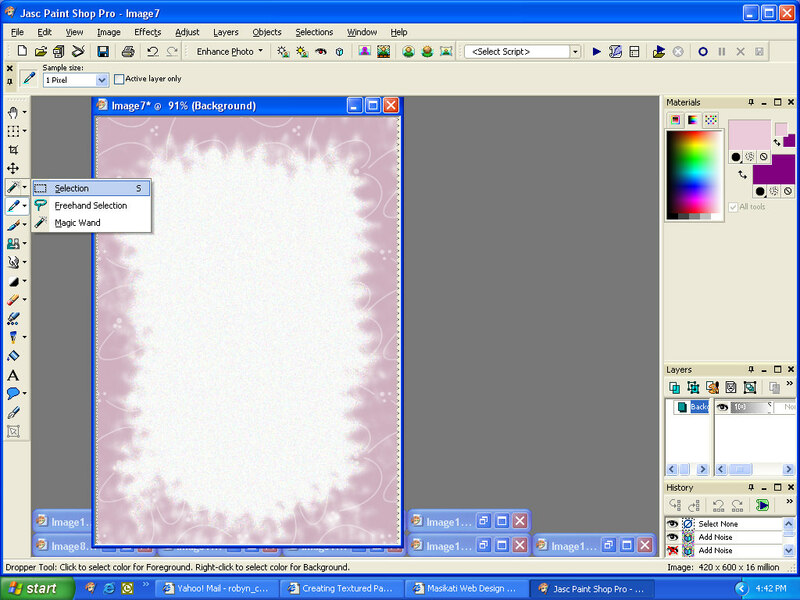 (See enlargement for settings). 11. 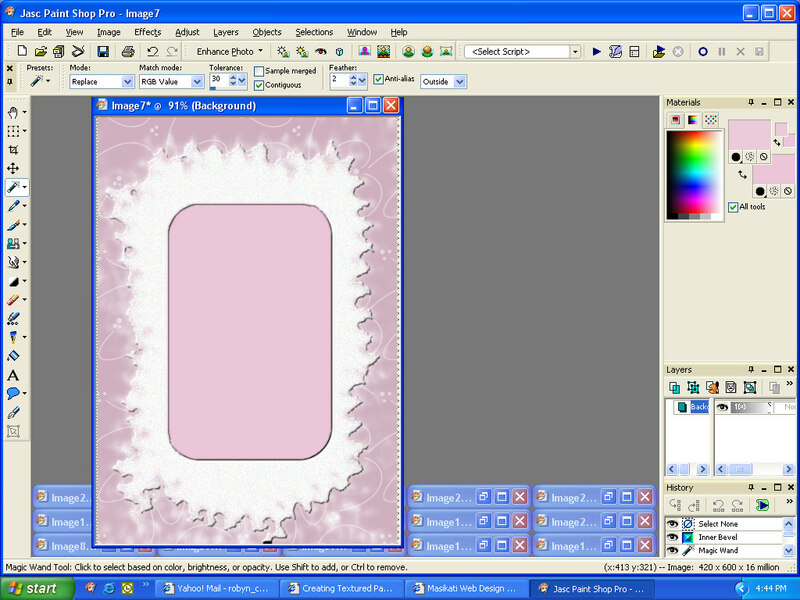 While the dotted selection box is still visible go to Effects Browser and select 3D Effects > Inner Bevel. 12. Your paper will now look like this. 13. Go back to the Magic Wand selection tool and click on the grainy white area. 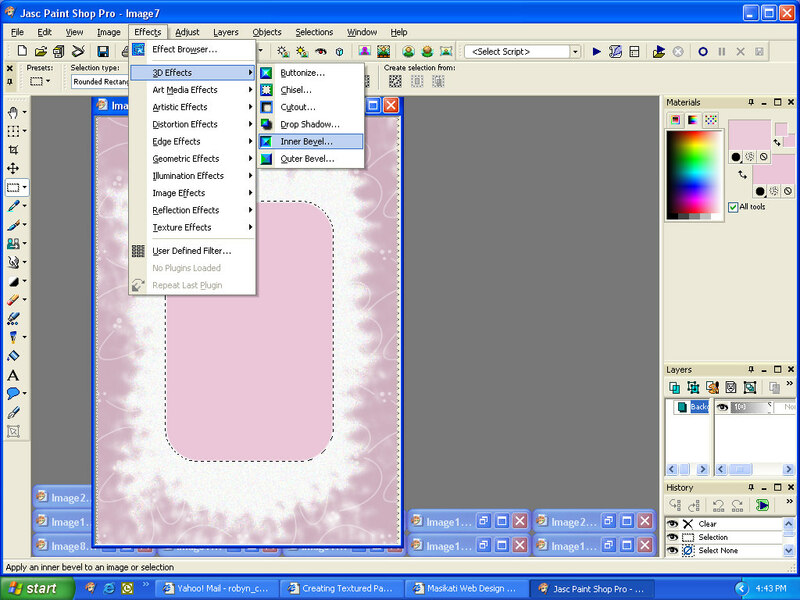 (See enlargement for settings). 14. Apply the Inner Bevel Effect again.